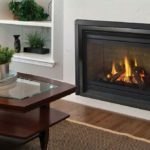 What is a Prefabricated Fireplace? Prefabricated fireplaces are manufactured in a factory and transported and installed on site. Most are made of metal and come from the factory as complete units with a firebox, a chimney system specific to the unit, and other components. You will often find prefab fireplaces in newer homes and today they make up about 75 percent of all fireplaces. They are typically installed inside of an existing fireplace or built for new construction or remodeled rooms. In 1927, the Heatilator company introduced the first factory-built air-circulating fireplace as a way to eliminate the tedious construction process of masonry fireplaces. Since the 1950s, prefab fireplaces quickly increased in popularity as they tend to be easier and cheaper to install and more energy efficient than traditional masonry fireplaces. 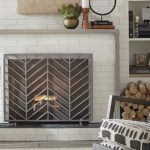 Both factory-built and masonry fireplaces add warmth and enjoyment to homes; however, there are some differences between the two. A beautiful fireplace built by a skilled mason that is custom fit to your home is not inexpensive. Masonry fireplaces tend to cost more to build and repair than prefabricated because of the time and skill masonry structures require. Prefabricated fireplaces are more affordable, however, they have a lower lifespan and aren’t as customizable in regards to size and design. Prefabricated fireplaces are extensively tested for safety and efficiency. They are regulated and must be built and installed per the manufacturer’s instructions. It is extremely important that prefab fireplaces be properly installed in order to ensure protection from house fires. Most prefabs are very efficient heat-producing appliances. They are constructed of metal and have glass doors, insulated walls, air-cooled pipes, and blowers which better circulates heat throughout a home. Masonry fireplaces and chimneys are also subject to regulations such as municipal codes, however, traditional fireplaces tend to lose more heat up the chimney than they produce. One great solution to increase the efficiency of an existing masonry fireplace is to have a fireplace insert installed right in the existing firebox. This way the craftsmanship of the existing fireplace structure and chimney remain, with the added bonus of the heat efficiency of a prefabricated fireplace. Masonry fireplaces are built to last a lifetime and sometimes even outlast the house. These fireplaces are not indestructible, however, and require proper care and maintenance. 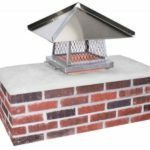 Prefabricated fireplaces can last for years, but they are still appliances and aren’t built to withstand intense heat like masonry fireplaces can. The life expectancy for a factory-built fireplace is approximately 10 – 30 years, depending on how well-maintained it is kept. Over time, parts can wear out and need to be replaced. Prefab fireplaces are often easier to clean, as they have metal flues rather than brick chimneys. A metal flue is also less likely to acquire creosote buildup than a masonry chimney. 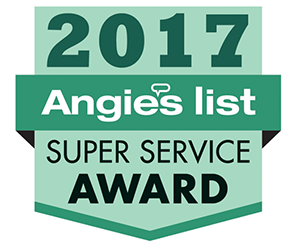 For information about fireplace options for your home, or if you’re in need of a chimney sweep or inspection, contact the Oregon Chimney Guys! Feature photo courtesy of eFireplaceStore.com.